I admit when I was growing up that I probably watched to much telly. Obviously I watched a lot of children’s television, but another genre I was particularly a fan of was the game show, and one of my favourites was Play Your Cards Right. 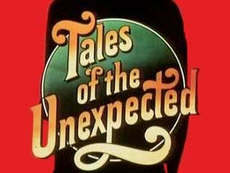 Hosted by Bruce Forsyth, the show started airing in 1980 and ran through to 1987. 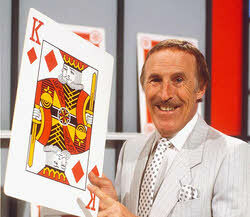 It was based on a US TV game show called Card Sharks, although by layering on a great many catchphrases Bruce made the show his own (quite literally, as when the show returned in the mid Nineties it became known as Bruce Forsyth’s Play Your Cards Right). 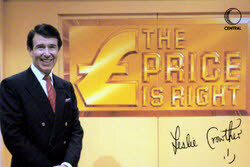 Two couples competed against each other to win the star prize of a new car, which was the defacto main prize back in the Eighties due to rules which limited the maximum value of prizes that could be given away on TV. To do this, they had to both answer questions and play a game of “higher or lower” with some playing cards. The questions posed by Brucie all required a percentage as the answer, and were based on a survey of 100 people, normally of a particular career or persuasion, and often had a certain level of innuendo associated with them. An example would be something like “we asked 100 policemen, have you ever used your truncheon for something other than police work”. Not a real one (at least I don’t think it was as I just made it up) but you get the idea. One couple were asked to give their answer as a numerical value, and their opponents were then allowed to say whether they thought the answer would be higher or lower than this value. The resultant winning couple then got to play with the cards. I’m a little late to the party on this one, but satellite and cable TV channel Gold are currently celebrating the 30th anniversary of Only Fools and Horses by showing every episode of the sitcom from the very beginning. This started on August 30th but runs on until the end of September, so there’s still plenty of time to catch a few classic episodes. 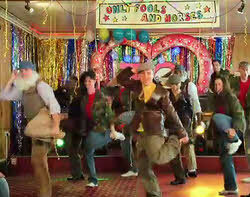 It seems somewhat unbelievable that Only Fools and Horses first aired 30 years ago. 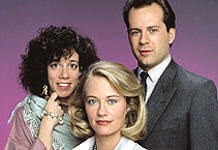 Somehow the memory of watching the show when it first aired and the cold hard fact of it being 30 years just don’t seem to fit together in my brain. 30 years? 3 whole decades? How can that be? Anyway, to celebrate the anniversary Gold have put together a couple of special items for all Fools and Horses fans. Firstly, they’ve recreated the Trotter’s famously gaudy flat (check out the Gold Facebook page for some pictures of it in all it’s kitsch glory). Secondly they’ve put together a rather amusing little video showing a bunch of Del Boys, Rodneys and Uncle Alberts who are busting some groovy moves on the dance floor. Check it out below, but it’s just a shame they couldn’t convince David Jason and Nicholas Lyndhurst to come and join in too. Instead we’re left with Boycie and Marlene introducing it, although that’s OK as I just love the way Boycie talks. The Only Fools and Horses At 30 season is showing on Gold every day at 10pm. Hands up who groans when somebody suggests playing Charades at Christmas? (Idle thought – does anybody even play charades any more?). I’m sure many people will probably remember this experience well at a family Christmas gathering. Normally a batty old aunt will suggest it, some of the kids will be well up for it, but teenagers and up will just go “ohhhh noooo!”. 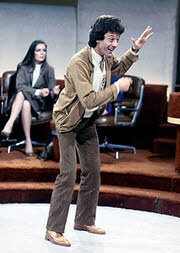 The problem with Charades is that most people don’t like doing the miming bit because you feel, well, a bit silly. However, everyone likes watching somebody else make a fool out of themselves, and this has to be why the TV version of the game, Give Us A Clue, was so popular. 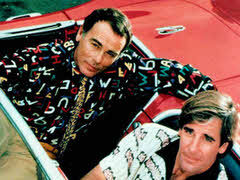 First airing in 1979 and sticking around until 1992, Give Us A Clue was one of my favourite TV game shows as a child. Initially hosted by Michael Aspel, and later Michael Parkinson, the show pitted two teams of four celebrities against each other. It was also a battle of the sexes as it was strictly boys vs girls. The boys team was captained by Lionel Blair, whilst the girls was led by Una Stubbs (who I was a big fan of thanks to her being Aunt Sally in Worzel Gummidge). 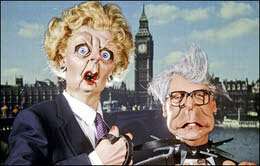 At some point Una left the show and was replaced by Liza Goddard. Unlike today’s idea of what constitutes being a celebrity the people who made up the rest of the two teams truly were celebrities, in so far as they were generally people who you had heard of before and knew exactly what it was they were famous for. Off the top of my head the sort of people you could expect to see were Lorraine Chase, Kenny Everett, Windsor Davies and even Kenneth Williams.